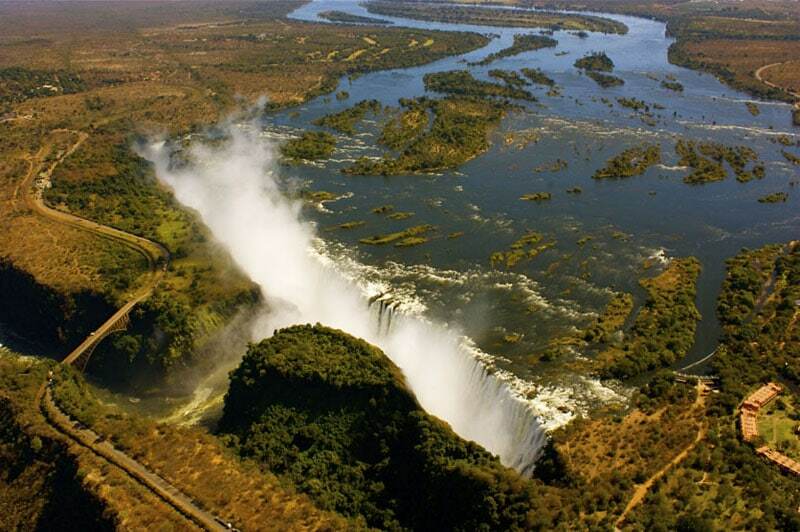 Zimbabwe is calling the adventurer within you! The staggering Victoria Falls and the Hwange National Park are among the highlights of our group safari in June 2019. This immersive trip boasts big game and wildlife like you’ve never experienced them before, against a dramatic African backdrop. Alongside likeminded explorers, succumb to the thrills of game drives after dark and canoeing the Zambezi River, then it’s time for a well-earned rest in some of Zimbabwe’s most unique luxury accommodation. 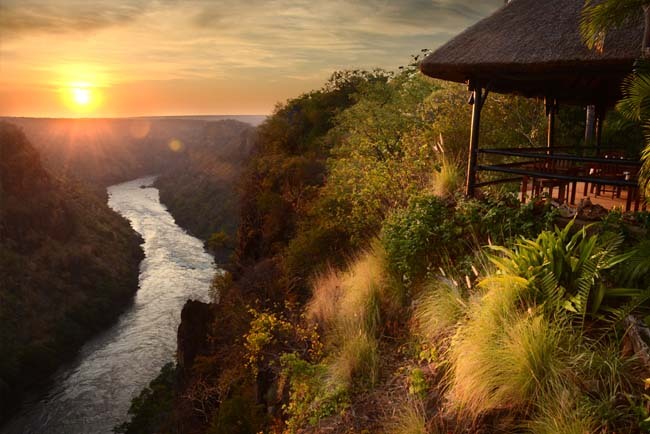 There are limited places available on this tailor-made Zimbabwe adventure, so be sure to register your interest with Ubon Safari. We hope to see you on Safari with us! Arrival at Johannesburg O.R. Tambo Airport, meet and greet, join fellow group members for Flight to Victoria Falls departing at 10:50hrs. On arrival at Victoria Falls Airport, road transfer from airport to Gorges Lodge. Briefing will be done at the lodge. Spend the afternoon by the pool sipping delicious refreshments. In the evening head off to Dibu Dibu for sundowners and snacks while you watch the lodge’s resident pair of black eagles soar only metres away from you. Enjoy a tasty 3 Course dinner with entertainments in the main lodge area overlooking the gorge. Lunch and dinner at Gorges Lodge. Meals included: Lunch & Dinner. Enjoy early morning tea or coffee on your private veranda followed by a sumptuous breakfast in the main lodge area. During your walk, your guide will explain on the history of Gorges and the indigenous gardens that Gorges has been built in. After lunch at the lodge, head into Victoria Falls town for a guided tour of Victoria Falls followed by curio shopping at the craft village. 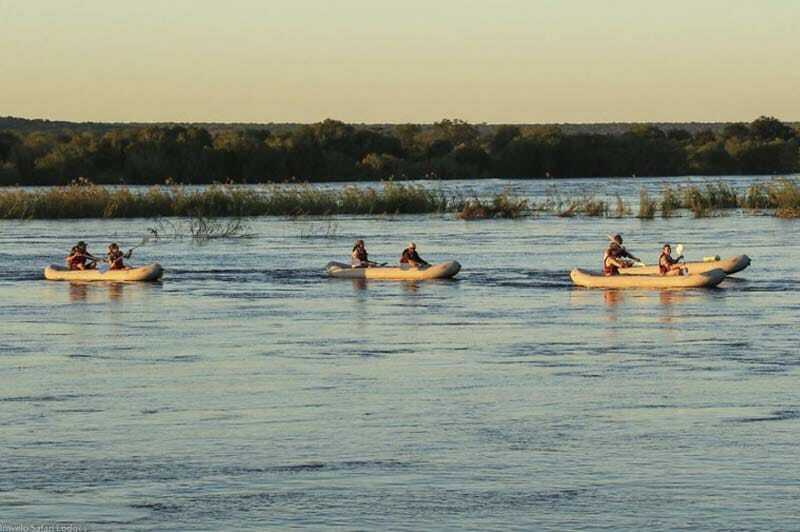 You will be dropped at the riverside dock to board your sundowner cruise along the Zambezi River. Enjoy early morning tea or coffee on your private veranda followed by a sumptuous breakfast in the main lodge area. After breakfast, road transfer to Sinamatela (Mbala Gate approx. 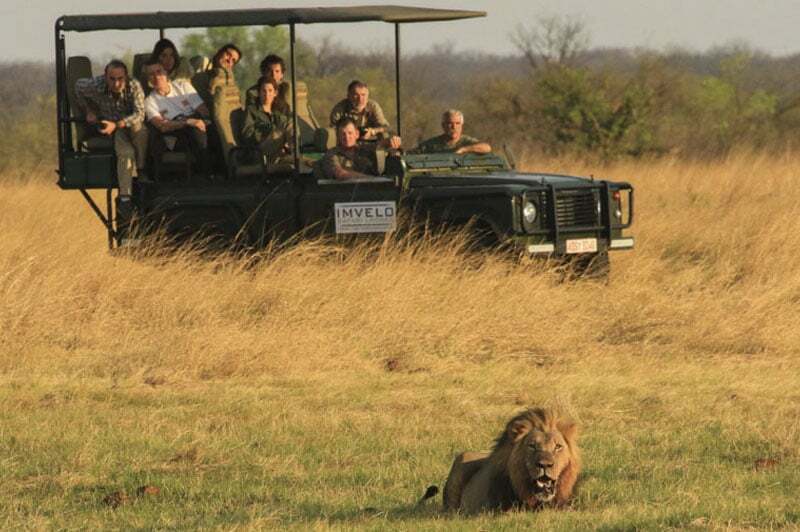 1.5hrs) where you’ll be met with your Guide who will transfer to Nehimba with a Game drive en-route (approx. 3hrs). On arrival at Nehimba, settle in, enjoy the African rustic charm that surrounds you. After late lunch at the main lodge, head out for a game drive on the lodge’s private concession. 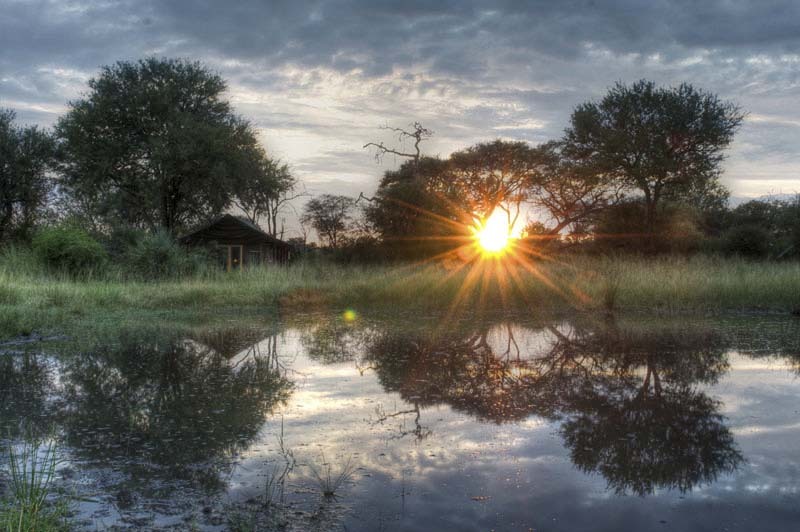 Enjoy the sundowners at a waterhole while watch the sun dip below the horizon. Return to the lodge for a 3 course delectable bush dinner served out under the African sky near the lodge waterhole. After dinner there will be a night drive around the concession to spot nocturnal species that are starting their day. Dinner at Nehimba Safari Lodge. Today, head out with your guide for game drives and walks exploring the beautiful Northern part of Hwange National Park. Stop off at Nehimba Seeps for mid-morning tea break. Return to the lodge for a leisurely lunch followed by siesta or relax by the lodge swimming pool. In the afternoon, head out for a game drive and a sundowner at the area’s famed waterhole. Back at the camp, enjoy a relaxing bath or shower to freshen up before enjoying a three course dinner in the main lodge area followed by reliving the days’ safari around the campfire, later fall asleep to the sounds of the African bush around you. Meals included: Breakfast, Lunch & Dinner. Early morning full English breakfast will be served before checking out and driving through the park to Dete Railway Station (approx. 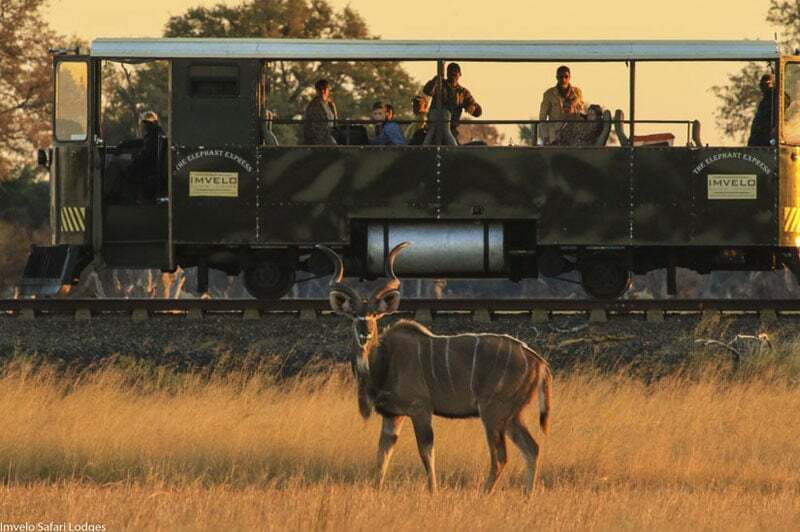 2.5hrs) to board the Elephant Express rail car for the rail transfer to Bomani Tented Lodge. Enjoy the Picnic lunch before departing on the game drive along the way to Ngamo Siding (approx. 2hrs). 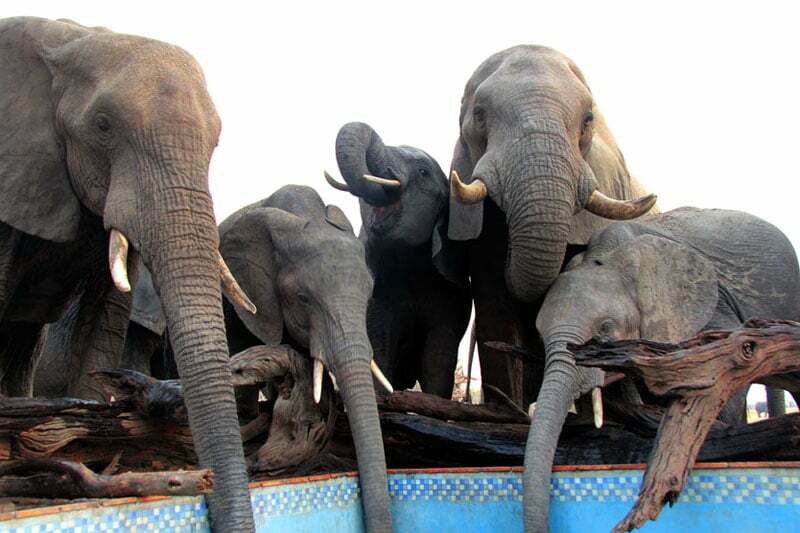 You wil be picked up from Ngamo Siding by the Lodge vehicle and transferred to Bomani Tented Lodge, famous for its unique scenery and large herd of elephants in Hwange. 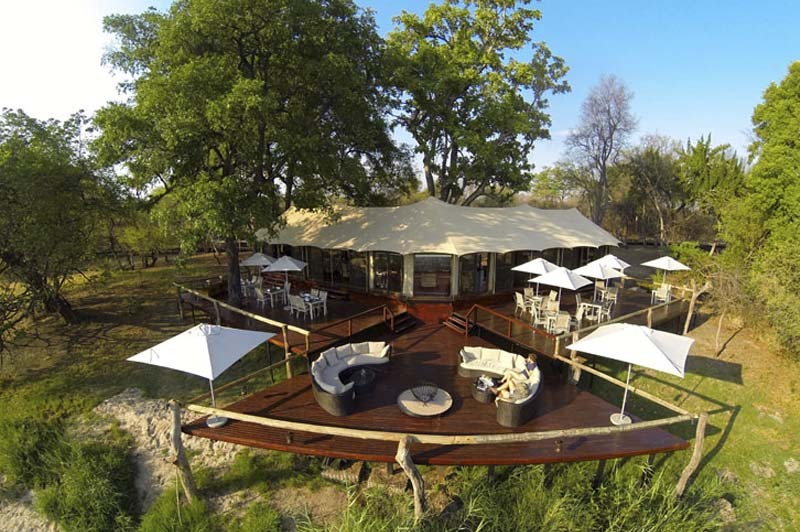 The lodge is situated on a private concession on the edge of the South-Eastern corner of Hwange National Park. After arriving on the Elephant Express, settle into your tent and enjoy a three course supper out under the stars next to the lodge waterhole (weather permitting). After dinner there will be a night drive around the lodge’s private concession. Dinner at Bomani Tented Lodge. After an early breakfast, head Ngamo village, a 30 minute drive from Bomani, for a very special morning that gives guests a chance to experience a real and un-choreographed interaction with local villagers. The visit culminated in a tour of the school and singing performance by some of the children followed by a class interaction where children have an opportunity to meet guests and the guests to meet the children. Enjoy a little afternoon game drive into Hwange National park ending up at the unique underground blind at Stoffe’s Pan for sundowners and canapés and wonderful rare moments with nature. After morning tea or coffee on your private deck, enjoy a guided early morning walk exploring the wilderness on foot before returning to the lodge for a hearty breakfast. Short drive back to Ngamo Siding to board the Elephant Express back to Dete Railway station and then onto the Hub by road transfer (approx.. 4hrs). 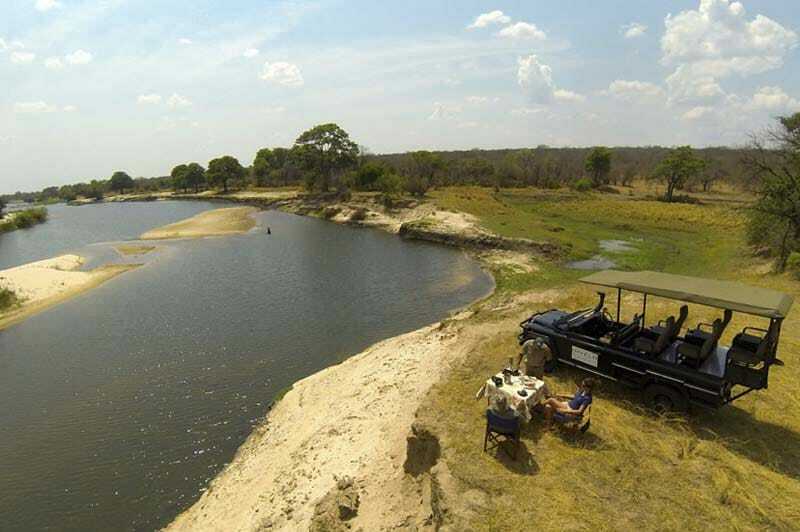 You’ll be picked up from the Hub by the Camp vehicles and transfer to Zambezi Sands. Settle into your luxury tent and then head out on the river for a sunset drift with sundowners and snacks. Night drive back to the lodge followed by a superb 3 course meal served in the dining room main deck. Dinner at Zambezi Sands River Camp. 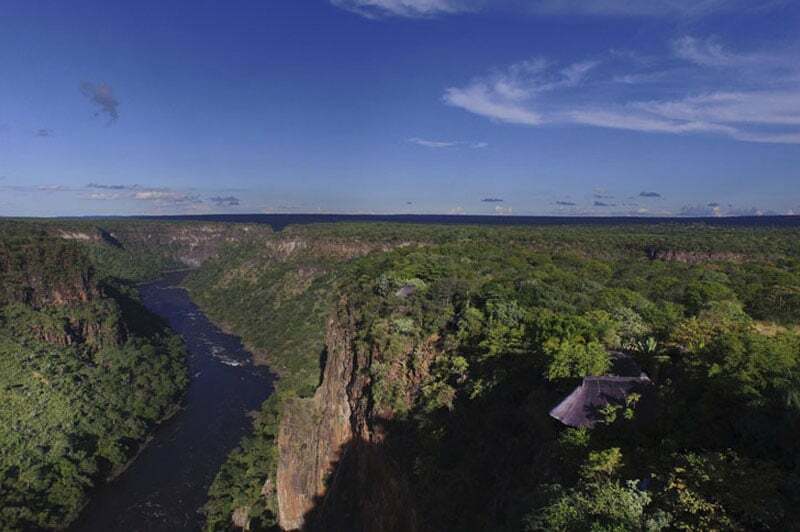 Enjoy your last morning sipping tea or coffee on your private deck as the sun rises over the river and the mist settles and then breakfast on the main lodge deck, taking in the sights and sounds of your Zimbabwean safari one last time before your road transfer to Victoria Falls Airport to catch your Flight back to Johannesburg. Meals included: Breakfast & Lunch.